If you struggle with the fear of failing, this will empower you. I love the clip in this video because it's a reminder that EVERYBODY starts somewhere ðŸ˜Ž AND, that it is OK to fail, because failure has nothing to do with the individual. 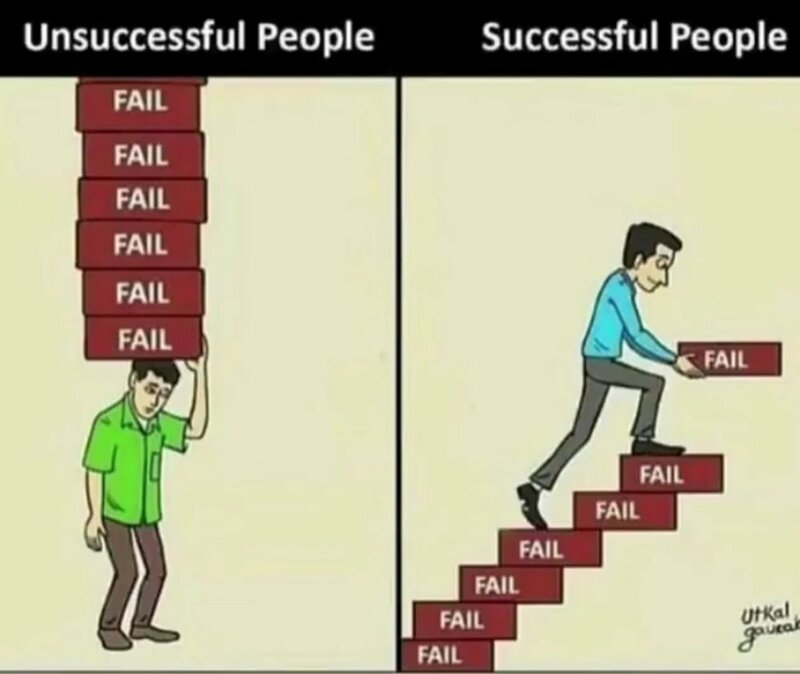 Failure is something we do, not something we are. This interview is from BEFORE Oprah made it. ðŸ�† Her show had just gone national. Most people are terrified of failing, but that's mostly because of the meaning they've attached to the words, fail/failure/failing. We focus on the fact that we tried something and weren't successful. Instead of focusing on the fact that we tried AT ALL. What if we focused on all the experience and lessons we GAIN everytime we "try" instead of focusing on everything we LOST when we didn't "succeed"? We've been trained to believe that "trying" isn't good enough. But everyone has to try (over & over again) before they succeed. No one just gets it right the first time. Successful people are comfortable in failing because they know that doesn't define them as a failure. We all have wins and we all have losses, but there is a huge difference between being a failure and failing at something. Your perspective is powerful and living with a positive perception changes everything. Need advice? Message me for a free consultation. Like/share/comment about failureâ€¦how it affects your life, how youâ€™ve overcome it, how to help others with it.